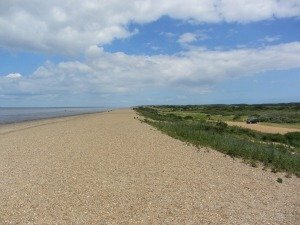 Waxham Beach in Norfolk is one of the few beaches that not many people know about, unless you are a local or a regular visitor. This is what makes it all the more intriguing and a joy to be on. 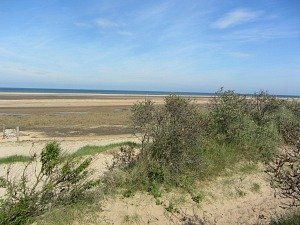 It’s beautifully hidden away amongst trees and sand dunes, and with no regular car park and no amenities close to the beach, it’s a Norfolk beaches that's a real gem, attracting those of you that like peace, quiet and tranquility. 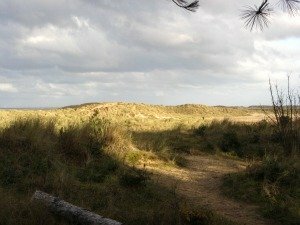 On a beautiful sunny day, you can walk along the sandy path, shaded by the trees, and out onto the glorious soft sand. 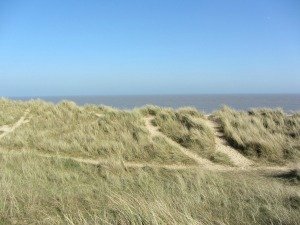 It actually sits in a designated area of outstanding natural beauty, and if you walk onto the dunes above the beach, you’ll understand why. 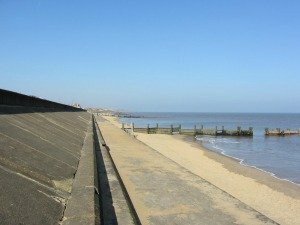 The only drawback I would say it has are the rather ugly sea defences and concrete approach. 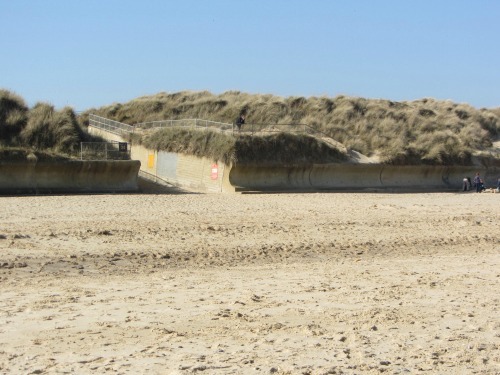 But, as I’ve said before, coastal erosion is a major problem, so the defences are there for a very good reason. 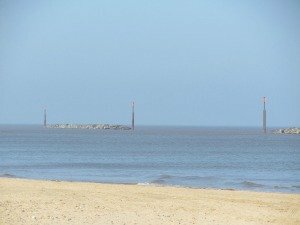 Once you’ve reached the beach, you can, yet again and as is so typical of Norfolk beaches, see for miles. 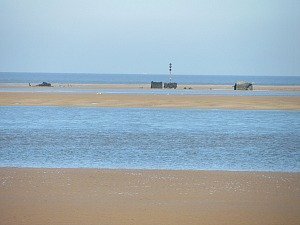 To the North you get a very good view of the reefs at Sea Palling, and to the South you see Waxham Sands and Horsey in the distance. 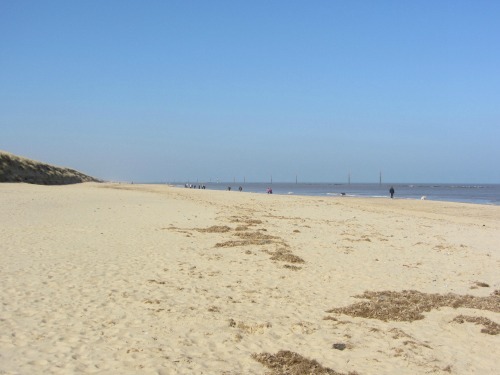 Just vast stretches of sand in front of you with space to walk where you like and as far as you like. 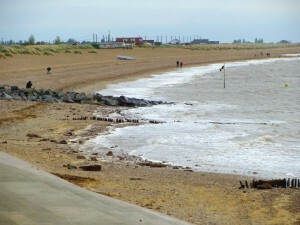 Adjacent to this beach is Waxham Sands. 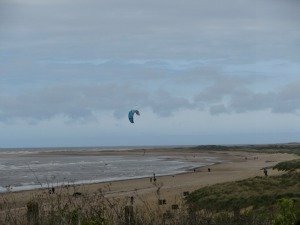 This is a slightly more popular beach as it’s a campsite and holiday park, with easy access to the beach. It also has amenities which is always a plus point. 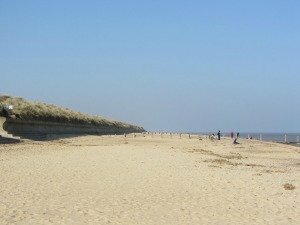 If you’re visiting for the day, you’re allowed to park at at the holiday park and you can reach the beach that way. 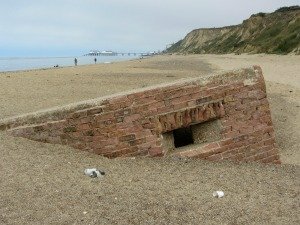 Although it gets mixed reviews, it's a very popular holiday accommodation destination on this east side of the Norfolk Coast. 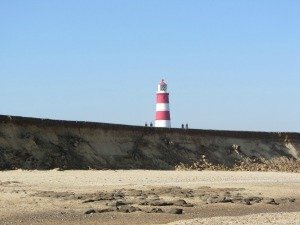 It's very close to the slightly busier seaside village of Sea Palling, and the incredible sight of the red and white lighthouse at Happisburgh - a definite must see if you're in the area. 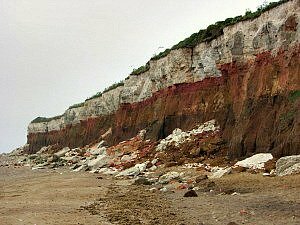 This part of the Norfolk coast is well known for its grey seal colony (as is Blakeney Point on the North Norfolk coast). 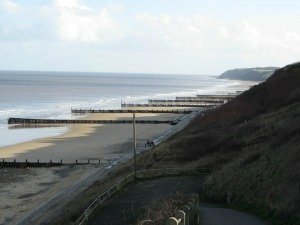 There are many times when you can come for a walk along here and catch sight of the seals and their pups, particularly in November and December when they’re breeding (although Horsey beach is more well known for seal watching and at that beach they even have a viewing area just for this). 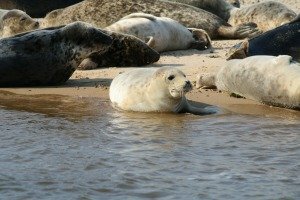 You may also catch site of some seals at Sea Palling beach. Seeing a seal on the beach is one of those memories you’ll have for life. They are so lovely and soft looking, (but are dangerous so mustn’t be approached). 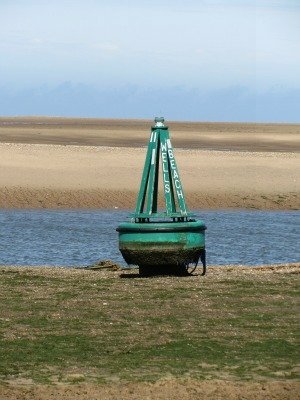 These ones were at Blakeney Point. 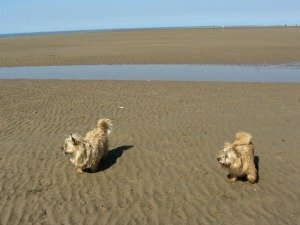 This is a very popular dog walking beach, and has absolutely no restrictions whatsoever! 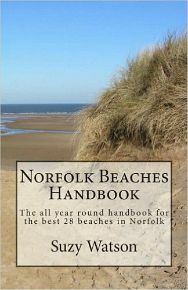 It’s one of few dog friendly beaches in Norfolk that has no restrictions throughout the year. 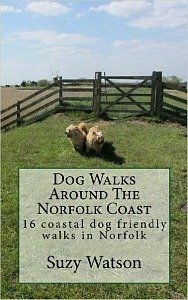 So you’ll meet lots of regular dog walkers. 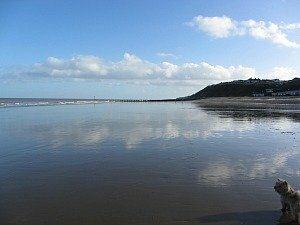 This is an interesting one, and one of the reasons that this wonderful beach is never overcrowded. 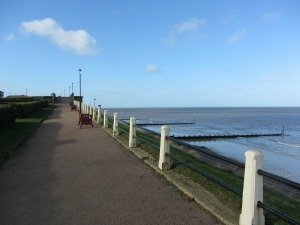 There is no official parking, you just park on the side of the road and walk to the beach. 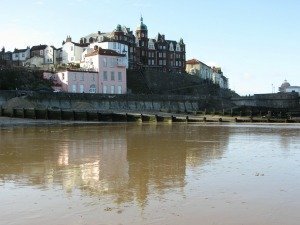 It gives the whole experience a much more rural feel to it, and all the tourist attractions attached to some of the beaches, such as Hemsby, Great Yarmouth and Cromer are nowhere to be found! 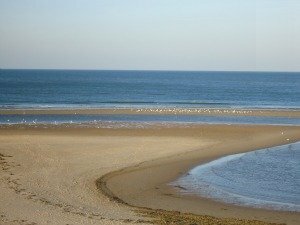 Just back to basics - sand, sea and nature. Finding the beach is only for those that know! But I’ll help you here! 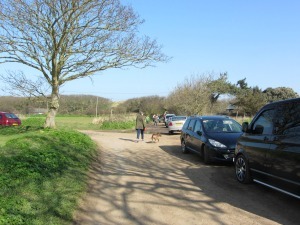 You need to turn off the main coastal road just before Waxham Barn (coming from either way), and head down a small lane to where you’ll find cars parked on the side of the road. This is the unofficial parking for the beach. Please park responsibly though, as I’m sure you would! 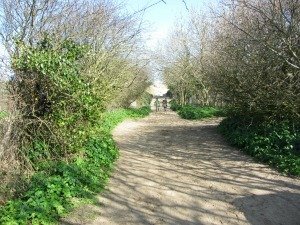 This small village is part of the parish of Sea Palling and is very close to Hickling Broad, the Nature Reserve. 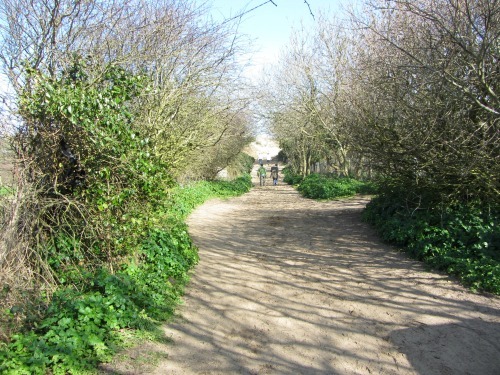 So if bird watching and nature is your thing, then this is a great place to base yourself. 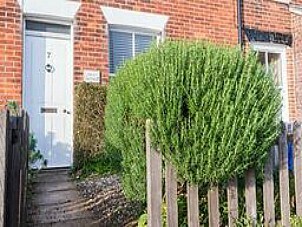 The same can be said for Sea Palling as well. 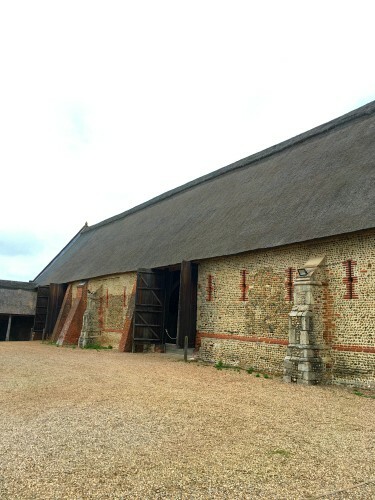 It has an amazing barn which is the longest thatched barn in the county, open from April-October each year. 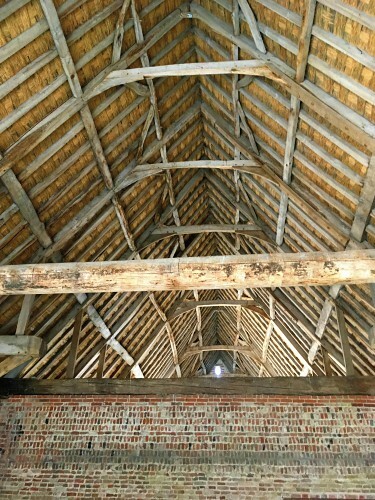 A 16th century barn, it was neglected after the Great Storm in October 1987 and Norfolk County Council took it over, repaired and restored it and converted it into a museum showing rural Norfolk life, as well as building a café in one wing which serves light lunches, cream teas and so on - wonderful after having been on the beach all day! And with friendly service, you couldn't really ask for more! 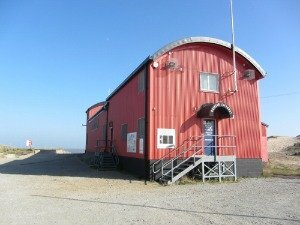 Open from 10.30-5.00pm between 1st April and 31st October. However, it is closed on Wednesdays out of school holidays. 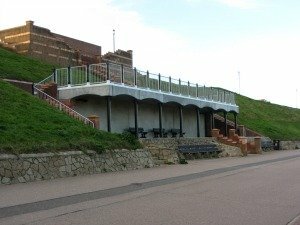 You can also hire this amazing venue for private events such as wedding receptions, you'll need to ring 01603 629048 for more information on this. So having said there are no amenities by the beach, this café is not far from the beach. 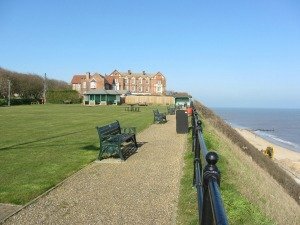 This part of the east Norfolk coast is a much quieter stretch than further south. 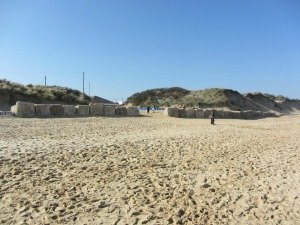 If you’re looking for less busy beaches than places such as Hemsby and Great Yarmouth, then this beach is definitely a perfect choice, and Winterton-on-Sea and Horsey come a close 2nd and 3rd.